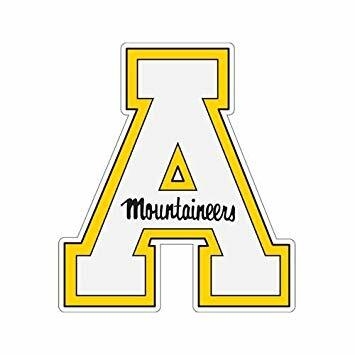 We are proud supporters of Appalachian State University Mountaineers! One of the many ways we show our support is by providing learning and real world experience opportunities through marketing and business internships. We enjoy the time they spend with us and the bright ideas that they bring to the table. Below are the individuals that we have been blessed to work with! Meet Ariel ASU Marketing Intern. 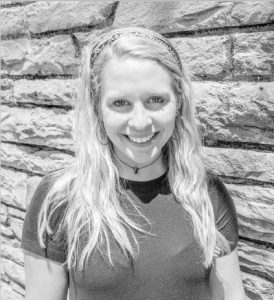 Ariel is a rising Senior at Appalachian State University, majoring in Marketing with a concentration in Professional Selling. She is from Hickory, NC and chose to stay close to the mountains for school. She remembers coming to Boone and Blowing rock as a kid to enjoy Kilwins ice cream and the Blue Ridge Parkway. Ariel enjoys playing soccer, snowboarding, hiking, and reading. 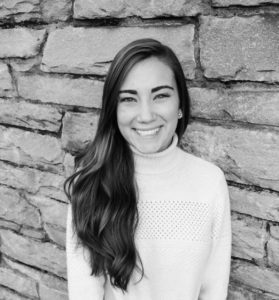 Ariel is President of the American Marketing Association collegiate chapter at Appalachian State. She is thankful for the opportunities, and friends the association has brought her. It will be her second year on exec board. Her goals are to have the chapter grow, and be competitive in the International AMA competition in New Orleans. Another important aspect to the club is making sure it creates friendships and bonds between members. Ariel is excited to spend the summer with the Vincent Property family. She hopes to learn more about real estate, marketing, and sales in the field. In the High Country her favorite things include tubing down the river, exploring the Blue Ridge Parkway, hiking in the Gorge and going to App State football games. Ariel loves meeting new people and is always eager to build new friendships. Grace, Vincent Properties, is a rising senior majoring in Public Relations with a minor in Marketing. Grace decided on this route due to her love of reading and writing and her excellent people skills. Being a Mountaineer has almost become a Lewis family tradition. Grace’s parents both graduated from ASU. It is clear that their college experience paved the way for rewarding careers, as well as life-long friends. She spent much of her high school career involved with the National Technical Honors Society, Prom Committee and Young Life, Grace has paved a way to success into her college life through these experiences. Since coming to ASU, Grace has gotten involved with many clubs on campus. She devotes most of her time as Vice President of her sorority, Chi Omega. Grace enjoys being a leader to those around her. She wishes to give back to the organizations and community around her. Grace enjoys spending time with family and friends. She also likes to run in her free time and play with her seven year old chocolate lab, Hemingway. Grace spends a lot of time giving back to her sororities national philanthropy. The Pi Kappa chapter of Chi Omega has donated over 3221 hours and $143981.89 to the Make-A-Wish Foundation. Grace loves the high country and the surrounding community. In the fall, she looks forward to game days at The Rock and hikes on the Blue Ridge Parkway with friends. Snowboarding at Beech Mountain is one of her favorite high country winter activities. Grace is eager to learn more about Real Estate and marketing from her experience at Vincent Properties. She is looking forward to all the connections and networking opportunities she will endeavor and the relationships she will form along the way. She is hoping her time at Vincent Properties will aid her in finding what she is most passionate about in her field. Rebecca majored in Public Relations with a minor in English. Rebecca is originally from Indian Trail, North Carolina–a small town southeast of Charlotte. She really enjoys spending time with her family and her two loving golden retrievers at home. 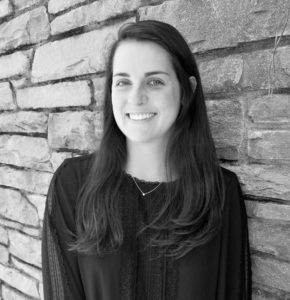 In the high country, Rebecca likes to spend her time skiing, hiking along the Blue Ridge Parkway, attending local concerts with friends, and cheering on the ‘Neers at football and baseball games.